Honiton hearing centre caters for all types of hearing loss and ear wax removal. Colin Eaton, the lead audiologist at the Keynsham hearing centre has over 15 years audiology expertise to make sure his clients get the best hearing result no matter what the hearing issues are. Ear wax removal is available by appointment and a limited amount of out of hours appointments are available but please call Sam on reception if you require out of hours. Comprehensive hearing tests are also available. Please make sure that any ear wax issues are clear before you take the test, if you need ear wax removing prior the test please call reception and make this clear to Sam that you will need ear wax clearing first. If you are confused on what hearing aids are for and for what type of hearing loss, please watch our new video here that explains why so many different types of hearing aids there are. In collaboration with the universities of Miami, Columbia, and San Francisco, scientists from the Institut Pasteur, Inserm, CNRS, Collège de France, Sorbonne University, and the University of Clermont Auvergne have managed to restore hearing in an adult mouse model of DFNB9 deafness, a hearing disorder that represents one of the most frequent cases of congenital genetic deafness, Institut Pasteur announced on its website. Individuals with DFNB9 deafness are profoundly deaf as they are deficient in the gene coding for otoferlin, a protein which is essential for transmitting sound information at the auditory sensory cell synapses. By carrying out an intracochlear injection of this gene in an adult DFNB9 mouse model, the scientists successfully restored auditory synapse function and hearing thresholds to a near-normal level. These findings, published in the journal PNAS, open up new avenues for future gene therapy trials in patients with DFNB9. Over half of nonsyndromic profound congenital deafness cases have a genetic cause, and most (~80%) of these cases are due to autosomal recessive forms of deafness (DFNB). Cochlear implants are currently the only option for recovering hearing in these patients. Adeno-associated viruses (AAVs) are among the most promising vectors for therapeutic gene transfer to treat human diseases. AAV-based gene therapy is a promising therapeutic option for treating deafness but its application is limited by a potentially narrow therapeutic window. In humans, inner ear development is completed in utero and hearing becomes possible at approximately 20 weeks of gestation. In addition, genetic forms of congenital deafness are generally diagnosed during the neonatal period. Gene therapy approaches in animal models must therefore take this into account, and gene therapy efficacy must be demonstrated following a gene injection when the auditory system is already in place. In other words, therapy must reverse existing deafness. The team led by Saaïd Safieddine, a CNRS researcher in the Genetics and Physiology of Hearing Unit (Institut Pasteur/ Inserm) and coordinator of the project, used a mouse model of DFNB9, a form of human deafness that represents 2-8% of all cases of congenital genetic deafness. DFNB9 deafness is caused by mutations in the gene coding for otoferlin, a protein that plays a key role in transmitting sound information at the inner hair cell synapses. Mutant mice deficient in otoferlin are profoundly deaf as these synapses fail to release neurotransmitters in response to sound stimulation, despite the absence of detectable sensory epithelial defects. DFNB9 mice therefore constitute an appropriate model for testing the efficacy of viral gene therapy when it is administered at a late stage. However, as AAVs have limited DNA packaging capacity (approximately 4.7 kilobase (kb)), it is difficult to use this technique for genes whose coding region (cDNA) exceeds 5 kb, such as the gene coding for otoferlin, which has a 6 kb coding region. The scientists have overcome this limitation by adapting an AAV approach known as dual AAV strategy because it uses two different recombinant vectors, one containing the 5’-end and the other the 3’-end of the otoferlin cDNA. A single intracochlear injection of the vector pair in adult mutant mice was used to reconstruct the otoferlin coding region by recombining 5′ and 3′-end DNA segments, leading to long-term restoration of otoferlin expression in the inner hair cells, and then restored hearing. The scientists have therefore obtained initial proof of the concept of viral transfer of fragmented cDNA in the cochlea using two vectors, showing that this approach can be used to produce otoferlin and durably correct the profound deafness phenotype in mice. The outcomes achieved by the scientists suggest that the therapeutic window for local gene transfer in patients with DFNB9 congenital deafness could be wider than thought, and offers hope of extending these findings to other forms of deafness. These results are the subject of a patent application filed. In addition to the institutions mentioned in the first paragraph, this research was funded by the French Foundation for Medical Research, the European Union (TREAT RUSH), and the French National Research Agency (EargenCure and Lifesenses LabEx). 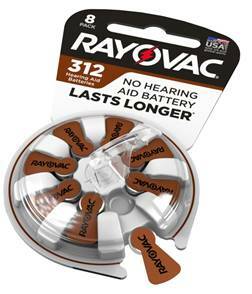 Hearing aid batteries are available for all types of hearing aids at the Honiton hearing centre Devon. Pop in and collect your hearing aid batteries or if you call us we can arrange them to be posted. Ear wax removal appointments available for one or two ears, please call and make a booking or use the online booking service on the home page here. Hearing tests are always available, call reception and make a booking or use the online booking form. You can learn more about our hearing test here. The Best ear wax removal, Honiton Devon, is at the family owned and run independent Honiton hearing centre. Covering the whole of Devon including Tiverton, Exeter Lyme bay and Sidmouth. The Honiton hearing centre based in Honiton and is the place to book for ear wax removal and hearing tests. If you are suffering from Tinnitus Colin Eaton the lead audiologist at the Honiton hearing centre can help you with Tinnitus therapy. Local GP surgeries are no longer treating ear wax removal as part of the NHS but if you are in serious need and want to book an appointment please call Sam on reception to book your ear wax removal session. Please read the website for costs. Watch our hearing test video here and our ear wax removal using Microsuction here.